Tomie dePaola (www.tomie.com) is the acclaimed author and/or illustrator of more than 250 books for children. 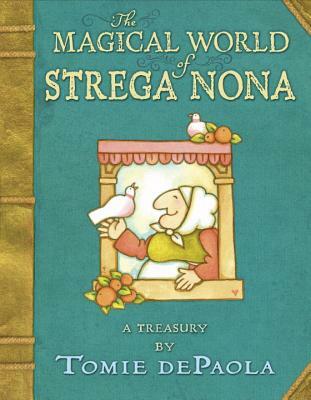 His books range from autobiographical stories to retellings of folktales and legends to original tales, such as the Strega Nona books. The American Library Association said: “His works reflect an innate understanding of childhood, a distinctive visual style, and a remarkable ability to adapt his voice to perfectly suit the story.” Tomie has received the Laura Ingalls Wilder Award, a Caldecott Honor for Strega Nona, and a Newbery Honor for his autobiographical chapter book, 26 Fairmount Avenue. He was awarded the Smithson Medal, the Regina Medal, was designated a “living treasure” by the state of New Hampshire, and received the 2012 Original Art Lifetime Achievement Award given by the Society of Illustrators. He lives in New London, New Hampshire.